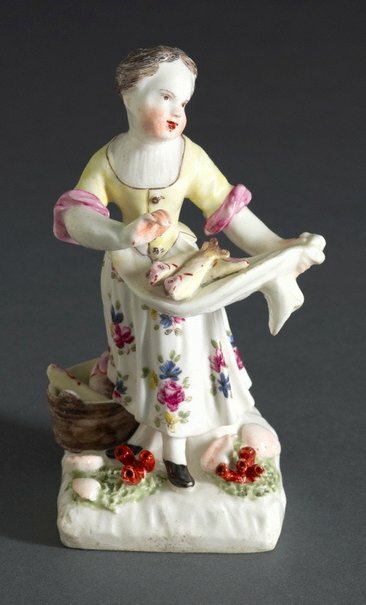 This figure and the boy fish seller (L2012.86) are based on Meissen figures modelled by Kändler and/or Eberlein c1748. In Bow examples the boy sometimes has a hat. Both the Bow figures have a square hole at the back probably intended to hold metal branches bearing porcelain flowers and/or candle sconces.